Calls for Pat Cummins to be handed the new ball ahead of Mitchell Starc have gathered weight after former national selector Mark Waugh speculated about a change. CALLS for Pat Cummins to be handed the new ball ahead of Mitchell Starc have gathered momentum after former national selector Mark Waugh speculated about a change. Test greats Brett Lee and Shane Warne urged the switch in recent weeks and Waugh joined the discussion on Wednesday, noting a downward spiral in Starc's form ahead of the second Test against Sri Lanka in Canberra starting Friday. 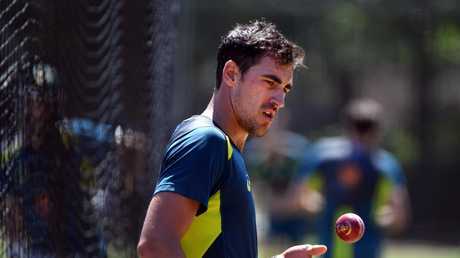 The long-time spearhead of Australia's attack, Starc is enduring his toughest home summer, struggling to swing the ball and bagging only 15 wickets in five Tests at 36.46. "As the season's got longer his form has dropped off," Waugh said. "I would persist with him (in the team), but he's got to start getting some wickets and getting some balls in the right areas. You can't have your new-ball bowler spraying the ball everywhere. "I think Australia might even look at giving Pat Cummins the new ball with Jhye Richardson down in Canberra. That's one option. 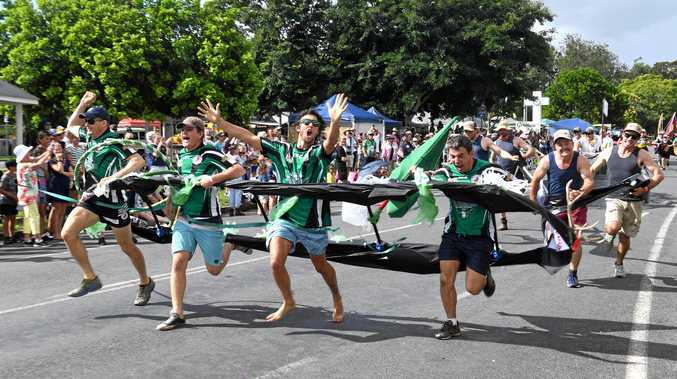 "(Starc) needs to get his act together and start getting some wickets. Because everyone has got to earn their spot in the team. We know he is a tremendous bowler on his day." Starc had figures of 0-59 in the second innings in Brisbane, and had the new ball for just two overs before it was given to Cummins in Australia's innings-and-40-run win. In contrast, Cummins has enjoyed career-best form with 24 wickets at 18.79 while bowling first change this summer. Cummins was adamant after his 10-wicket match haul in Brisbane he was happy to remain in the first-change role, backing his opening quicks despite admitting he enjoyed bowling with a harder ball. Spinner Nathan Lyon also took that view on Wednesday, declaring that changing Australia's bowling order risked disrupting their cohesion. "The best thing about this bowling attack is that we know our roles in the side so I think it is really important that we keep playing our roles and sticking to that," Lyon said. "I don't understand all the criticism, to be honest ... (Starc) is bowling fast, he is moving it, he had the ball reversing in the nets. 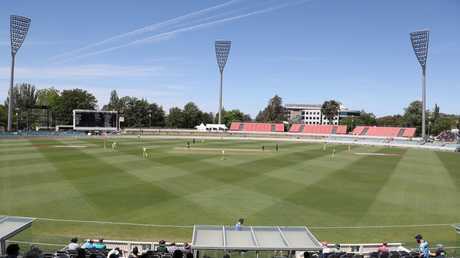 Manuka Oval will host its first Test on Friday. "He has 200 Test wickets so if anyone can get 200 Test wickets you must know what you are doing and you must be confident." There are hopes the ball may reverse more in Canberra, conditions Starc has relished throughout his career. 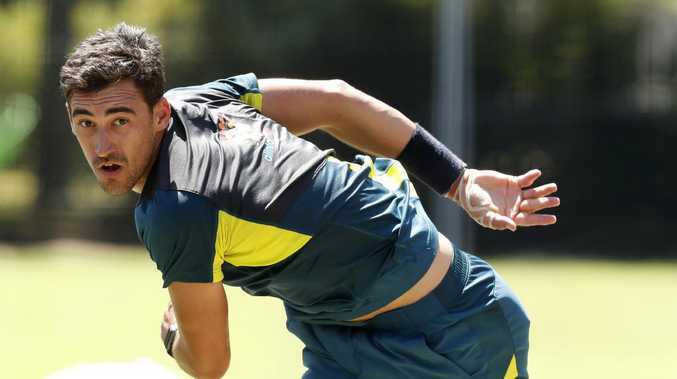 Australia trained for the first time at Manuka Oval on Wednesday ahead of Canberra's historic first Test match, with uncapped all-rounder Marcus Stoinis joining the squad for his first hit-out. The West Australian bowled to Australia's top order in the nets under the watchful eyes of coach Justin Langer before he faced a number of net bowlers with the bat.